Note the playstyle / strategies of the team: Balance, Bulky Offense, Defensive, Hyper Offense / Rain, Sand, Trick Room, Tailwind. Give example sets of each Pokemon per core. Doesn't have to be more than one, but don't go overboard. If the set is from a specific player, credit them, and possibly link their handle on Twitter, NB, Smogon, or Forever. IMPORTANT: Give a short, but meaningful analysis of the core. Essentially how those 2+ Pokemon complement each other, what roles they perform/assigned, how they perform against other threats/meta, etc. Not Required but Optional: Provide replays featuring the core in battle. Optional: Provide Sprites / Images of the Pokemon showcased. For those who are still unsure about how to format this, here's an example below featuring Mega Salamence and Aegislash in Battle Spot Doubles as an example. Mega Salamence is one of the top Mega Evolutions in the Battle Spot Doubles format blessed if powerful offensive Flying-type attacks thanks to Aerialte and rather high defensive stats for a Pokemon. One of the issues using Mega Salamence is its often prone to Dragon-, Fairy-, Ice-, and Rock-type attacks, all of which are rather common in the Battle Spot Doubles metagame. Enter Aegislash. What this Steel/Ghost-type offers for Mega Salamence are crucial resistences to these common offensive typings and be able to switch in these moves thanks to its massive 150 defense stats on both sides. Wide Guard allows Aegislash to protect Mega Salamence from spread damage such as Pixilate Hyper Voice from Mega Gardevoir/Sylveon, Rock Slide from Excadrill/Tyranitar/Landorus-T, Icy Wind from Suicune/Milotic, etc. From an offensive perspective, Aegislash can also threaten most of these Fairy- and Ice-types with its STAB Flash Cannon or Iron Head. Thanks to Mega Salamence's excellent "pre-Mega" ability Intimidate, this allows Aegislash to have a better time holding its own against powerful physical attackers like Mega Kangaskhan, and reduce the damage done by a physical SE Earthquake on the haunted Ghost Shield. Mega Salamence can handle most Fire-type Pokemon for Aegislash as it hits them an Aerilate-boosted Double Edge, or go for a Super Effective Earthquake as Aegislash King Shield's, or Wide Guards. Alright hopefully by doing this, we'll have an archive of cores and sets to look back on for future battles, or reference. Feel free to post any cores that are viable! One of the most common pairs seen in VGC 17 is between the two Electric-types in Tapu Koko and Alolan Raichu. Note this pair is relatively strong to due their ability to outspeed most of the format and abuse the Electric Terrain field summoned from Tapu Koko. As long as the Guardian Deity activates Electric Terrain, all Electric-type attack receive a 1.5x boost, and allows Alolan Raichu's Surger Surfer to doubles its already fast base speed of 110. With the Electric Terrain, Tapu Koko can do sizable damage against the opposing Pokemon with its STAB Electric-type moves such as Thunderbolt, Discharge, Volt Switch, or Wild Charge if mixed. With its part-Fairy typing, Dazzling Gleam from Tapu Koko can at least threaten opposing Fighting-, Dragon-, and notably Dark-type Pokemon, who usually threaten Alolan Raichu. In turn, Alolan Raichu can threaten Poison-type Pokemon such as Gengar, Salazzle, and Nihilego who all three can knock out Tapu Koko with a Sludge Bomb. Alolan Raichu is not limited to using STAB Electric type moves + Psychic, but it has Fake Out pressure and Encore for disruption. Note with the rise of Ground-type and Lightening Rod users to counter this core, Discharge is a viable option to have to bypass such immunity / redirection. With their fast base speed, Tapu Koko and Alolan Raichu can serve as a fast mode which can pickoff heavily weaken Pokemon or deal initial damage to setup for faints for the late game. Gyarados has been one of the most threatening Pokemon in the early VGC 17 format do to its high base Attack stat and potential to setup multiple Dragon Dances to further increase it damage output. The Intimidate ability allows Gyarados to reduce the attack stats of the opposing Pokemon by one stage, which can in turn allow opportunities to setup. That said, one of the major issues with Gyarados is its quadruple weakness to Electric-type moves, and to make matters worse, there are now reputable Electric-types such as Tapu Koko or Alolan Raichu who can easily knock it out. Given Gyarados's weakness to Electric-types, one new Alolan Pokemon has seen a dramatic rise to aid in Gyarados's setup: Alolan Marowak. With the Lightening Rod ability, Alolan Marowak can effectively redirect all single-target based Electric moves from Gyarados to it without any harm. In terms of offensive pressure, both the potential of Dragon Dance-boosted Gyarados and the Thick Club Alolan Marowak can inflict massive damage against its foes. Once Gyarados setups Dragon Dances, it can use either Waterfall, Ice Fang, or Crunch. Waterium Z from a +1 Gyarados can almost certainly knock out any Pokemon that's neutral to Water and doesn't have high natural defenses. With Thick Club, Alolan Marowak's attack stat doubles and can threaten Electric-type Pokemon with Bonemerang, Grass-types with Flare Blitz, or Psychic-types with Shadow Bone. Here we have perhaps the face of Sun-Based teams centered around the newly released Drought Torkoal, Trick Room Oranguru, and Chlorophyll Liligant. The goal og this core is essenially the same end result: Get Torkoal in prime position to sweep. Rarely Oranguru will pick up OHKOs and Liligant is here mostly to scare off Pokemon who are weak to the Grass-type Leaf Storm or Bloom Doom Z Move. This core is essentially geared to have the potential to switch between a "fast" mode with Chlorophyll After You Liligant and the Trick Room Instruct Oranguru. With its speed doubled in the sun, Liligant can assist the slow Torkoal in getting fast After You Eruptions, putting targets alseep with Sleep Powder, and STAB Leaf Storm. Bloom Doom Z-Crystal is an option to have in case Liligant can hit one target hard with a STAB move, potentially in range of Torkoal or Oranguru's STAB. Speaking of Oranguru, it has both Trick Room, Inner Focus, and maybe the Mental Herb to guaranatee a field condition in most scenarios. Once Trick Room is setup, Oranguru can Instruct Torkoal to hit its Drought boosted Eruptions and Fire-type attack for heavy damage output. Note: EV Spreads are from this Team. This core is built around having to protecting Celesteela for the late game SubSeeds and can provide great synergy for each other. Given how bulk Celesteela is both BST and typing respectively, what better way to pair this defensive mon with... another one in Arcanine. To start, Arcanine has the ability Intimidate to lower the defense of the opposing Pokemon, while use either Will-O-Wisp, or Snarl respectively to lower the opposing target's offensive potential. Thanks to the Intimidate ability, potential burn status, and Snarl special attack drops against the foes, Celesteela can find it much easier to setup Substitutes / Leech Seeds, bur most of all stick around throughout the match. Gastrodon is an interesting pick here, but serves the purpose of redirecting all single target Water-type moves against Arcanine or Celesteela. In fact, Toxic Gastrodon paired with Celesteela has the potential to "stall" out opponents if they don't have the proper offensive Pokemon to beat either mons. In turn, but Arcanine and Celesteela can easily handle any Grass-type Pokemon on the field like Tapu Bulu or Kartana. Gastrodon can serves a defensive switch in for any potenial Rock- or Electric-type Pokemon aimed at Arcanine or Celesteela. 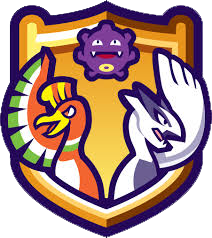 While this team is quite 'stally', note all three Pokemon essentially aid in tackling their own resistences or potential weaknesses with passive damage. Not to steal your thunder, @Black117, but I've been toying with the following core. Granted, I've just added rain to your Alolan Raichu + Koko set, but it's super strong. Note: EVs for Koko and Raichu are pretty standard, but Peliper EVs are my own experiment. Pretty self explanatory. Tailwind to help make fast Pokemon much, much faster. If you use my Peliper set Sash will save Peliper from opposing Koko to get tailwind off, and is then faster then max speed Koko under tailwind to get a hurricane off and to either double target with partner for KO or get a scald off on another threat before honorably giving its life to our cause. For info on why Koko and Raichu work well, see Black's above post. Rain teams now have a new weather setter in the form of Pelipper and has certainly made a splash alongside Golduck. With the "stronger" Swift Swim Pokemon like Ludicolo and Kingdra gone, this allows for Golduck to shine in most hyper offensive Rain teams given moderately above average Water-type moves being boosted in the rain. With the Waterium Z, Hydro Vortex in the Rain becomes one of the strongest attacks in the games capable of dealing heavy damage, or if not knocking out any frail Pokemon. Pelipper can provide Tailwind support to bolster both their speed stats, and use Hurricane to deal Super Effective damage against opposing Grass-type Pokemon who would normally handle Rain-based teams. With the introduction of Tapu Bulu, this Pokemon has is one of the four who summon a new type of field condition called Grassy Terrain. For those who don't know, some of the effects of Grassy Terrains involves halving the damage of Earthquake (one of the strongest spread damage), and giving all "grounded" Pokemon an 1/16th recovery. So what does Alolan Muk has to do in all of this? Notice how Alolan Muk's Poison/Dark-typing essentially gives it one weakness in Ground-type attacks, and one of the most common Ground-type moves to use is Earthquake. Essentially where this is going is pair Alolan Muk with Tapu Bulu and it will have a pseudo neutral hits against some Ground-type hits like Earthquake which only deal about 50% less total damage than expected. Now for any other Ground-type who can learn single, Tapu Bulu pretty much can OHKO them with a Grassy-Terrain boosted attack and can help Alolan Muk stick around for the long fight. At this time making this post, the core between Tapu Fini, Kartana, and Arcanine has picked up as arguably one of the most popular in the early VGC 17 format thanks to its fantastic synergy both defensive and offensive standpoint. 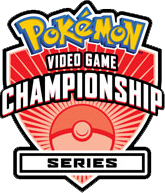 Right after the London Intercontinental Championships, there was a rise in defensive oriented teams centered around Celesteela, Gastrodon, Tapu Bulu, and other Pokemon which relied on passive damage such as Will-O-Wisp, Toxic, etc to wear down the opposition over time. Tapu Fini wasn't explored as much at this time, given it was the "least" used Tapu out of the the four due to the "lack" of beneficial to one of it STABs. Eventually, there was a turn to use Tapu Fini's Water/Fairy-typing for offensive purpose with the Specs set and was popularize by Japanese Battle Spot players and later Sejun Park after a recent tour victory. Tapu Fini can hit rather hard thanks to its Water- and Fairy-type attacks such as Scald, Muddy Water, Dazzling Gleam, and Moonblast and still has an impressive bulk of 115 Defense and 130 Special Defense to cover for itself. To top it off, Misty Terrain can effectively "block" all status ailments on the field, suppressing opposing Wisp, Thunder Wave, Freeze chance, and Sleep. Kartana is a rather peculiar Grass/Steel-type Pokemon with paper-thin special defense, yet a whooping 109 speed and 181 attack stat, already one point higher than that of Primal Groudon. Despite having the low special defense, Kartana high attack and speed stat paired with its Grass/Steel-typing makes it capable of being one of Tapu Fini's partners to combat the opposing Tapus. Thanks to its typing, Kartana is able to deal with opposing Poison-type as they can't such it and can tank one Thunderbolt for Tapu Fini, though AV sets have been more common as of late to take better special hits. The main purpose of using Kartana in this core is to hack-and-slash against opposing Water-, Rock-, Fairy-, Ground-, and Ice-types which some directly threaten Arcanine. In terms of movepool, Kartana is rather limited to Leaf Blade and Smart Strike for STABS, then Scared Sword and Night Slash for coverage, and finally Sword Dance for setup potential. Speaking of setup, if Kartana manages to pickup an OHKO, Beast Boost will increase its attack stat, further making it a threat. Last we have the Fire Doge Arcanine, one of the most commonly used Fire-type in the format, likely due to the exclusion of many. Regardless, Arcanine completes this core by giving its Fire-typing to aid in both Kartana and Tapu Fini against Fairy- and Steel-type Pokemon while handle opposing Grass-, Ice-, and Bug-types which threatens them. Some Arcanine sets are build defensively to take advantage of the Intimidate pressure and using support moves such as Will-O-Wisp and Snarl to suppress the opponents' damage output. Both Tapu Fini and Kartana appreciate any stat drops against the opponents as it allows them to take opposing hits better and retaliate with their strong STAB options. Other Arcanine sets utilize their physical movepool with Flare Blitz, Wild Charge, Close Combat, and Extreme Speed to pick off certain Pokemon the defensive sets won't have. Given its Intimidate and above average defensive stats, Arcanine can make for a great pivot switch for Tapu Fini or Kartana whenever they need protection.